The Hamilton low bookcase, part of the Hamilton occasional range and office range, is made from ash and ash laminate, with a lacquered antique finish. 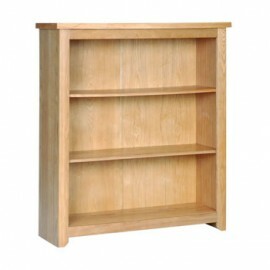 With 2 adjustable storage shelves the low wide bookcase is also ideal for childrens rooms and for paperbacks, cd’s and dvd’s. Dimensions in mm: 950 (w) * 285 (d) * 1113 (h). Please allow up to 2 – 3 working days for delivery of your Hamilton bookcase.